The Rock Rose state has been described as "A punch in the stomach." And how much harder could a punch be than to be living with the turmoil and devastation in Japan right now? A person in the rock rose state is under extreme mental or physical threat - usually as the result of a crisis they cannot control. Even those whose families have been found safe and whose homes and businesses have not been destroyed are living with the threat of a nuclear disaster. Our hearts to out Japanese citizens - and to those in the U.S. who are consumed by the fear that a nuclear meltdown in Japan will cause radiation illness here. 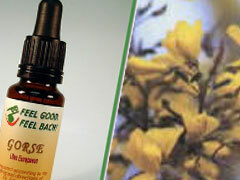 They would all be better able to cope with use of the Bach Flower Essence Rock Rose. For most of us, the Rock Rose state is temporary and comes about as the result of an accident or an illness. It may manifest after a "near miss" accident when a person sees how close they came to death. It may manifest when a loved one is diagnosed with a serious illness. It could manifest during a hurricane or other potentially life-threatening storm. In every case, the symptom is fear - whether or not that fear is founded in fact. For example, a child who wakes from a bad dream and cannot be comforted - or the parent whose teen-age child is two hours late returning home from an evening out. The Bach Flower Essence Rock Rose brings the personality back into alignment with the higher self and alleviates the heart-stopping panic. 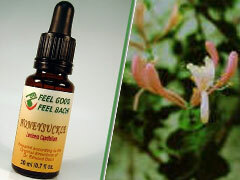 Visit Flower Bach to learn more about the Rock Rose personality, and how Bach Flower Essences can help you deal with the crisis situations in your own life.